It’s that time of year again. The time of year that anxiety and stress tend to hit people the most. Whether it is the cold weather, the holiday seasons or just job stress…there are natural ways to handle anxiety and stress. Chronic stress will impair the adrenal gland function which in turn leads to a weakened immune system and possible degenerative diseases. The immune system is very important because a strong one is needed to combat diseases. Although herbs are wonderful during times of stress, it is important to identify the underlying cause of anxiety and deal with that rather than rely on the power of sedative herbs. With that said, I will share some natural remedies for anxiety and stress. As mentioned the adrenal glads are very important and are an integral part of the endocrine system of hormones. They play an important role in regulating the body’s response to stress. You will want to avoid foods that will tax your adrenal glands, particularly caffeine, sugar and alcohol. There are nutrients that are essential in supporting the health of the adrenals and those include Vitamin C, pantothenic acid (Vit. B5), Vitamin B6, magnesium and zinc. Vitamin C is found in many fruits and vegetables including broccoli, red peppers, cantaloupe, oranges and strawberries. Pantothenic Acid can be found in avocados, eggs, chicken, salmon, mushrooms and yogurt. You will find Vitamin B6 in lentils, tempeh, trout, tuna, and bananas. Zinc is found in sesame and pumpkin seeds, black beans, oysters and mussels. Foods rich in magnesium include almonds, halibut, tofu, corn and peas. Herbs are wonderful during times of stress. Chamomile and catnip are relaxing and have a mild sedative effect. Begin by pouring the boiling water over the herbs. Cover and let steep for 10 minutes and strain. Sweeten with honey if desired and drink 3 cups daily. If you think there is possibly no time to relax, then that is definitely a sure sign that you need to make time to relax. It is important to find time to unwind. Schedule a minimum of two 15-minute breaks everyday to calm and center yourself. Try soaking in a warm aromatherapy bath, or meditation or listening to calming music or just do absolutely nothing. You should also schedule at least one time a week to talk a walk with a friend or a massage or something else that makes you feel good, for example for me I enjoy going to a book store and relaxing amongst all the books. (yes, I am weird, but it works) Be sure to record these times on the calendar just as any other important appointment and you will see your stress and anxiety decrease. This is a neat trick that works. To relieve stress and anxiety, place a drop of lavender essential oil on to a handkerchief or tissue and inhale as often as desired. Ginseng is excellent for strengthening the adrenal glands and therefore helping the body adapt more easily to physical and emotional stress. Buy an extract that has been standardized for eleutheroside (the primary compound in ginseng) and take approximately 250mg two times a day. *Caution: If you have high blood pressure, please consult with your physcian before taking any form of ginseng. When you consciously slow down your breathing into a rhythmic pattern, your body and mind will receive the message to relax. Sit or lie in a comfortable position and take a deep breath. Exhale completely through your mouth, then close your mouth and inhale slowly through your nose, to a mental count of five. Hold your breath for a count of five before exhaling completely again. It is important to take your time when doing this inhale for a 5 count and exhale for a 10 count. Practice this breathing technique at least twice a day or when you are feeling tense or anxious. I have personally tried this tea and can tell you that it really works. 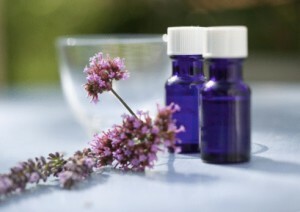 Valerian is a powerful but safe herbal sedative. It will help in cases of extreme stress and anxiety. To prepare tea, pour the boiling water over the dried root and cover to prevent evaporation of the herb’s essential oils. Steep for 10 minutes and strain. Try drinking up to 3 times per day. *Note: Valerian has a very strong odor and flavor, you may prefer taking the herb capsule. Take one or two capsules (300-500mg) three times per day. *Caution: Valerian may cause headaches or muscle spasms, so be sure to not exceed the dosages or take for long periods of time. Many people are interested in the natural and holistic method to help aid in ailments. Did you know that there are natural remedies for everyday problems as well. There are natural remedies for health conditions, skin, as well as for pet care and your home and garden. It’s important to note that not everyone is familiar with natural remedies or what it all involves. The goal for all of us is to stay healthy and improve our overall well being and alternative methods are very helpful in achieving this state. Natural remedies include herbs, essential oils, nutritional supplements, teas, as well as some commonly found items in your home such as salt, ice and garlic. Many of these items can be found in natural health food stores, but many are now being carried in your local grocery store. It is important to note that natural remedies although will help with many ailments are not a cure all. If you have more serious conditions such as fractured, broken or dislocated bones, fevers that escalate to 105 degrees in adults and 103 in children, injury to head or spinal cord, third degree burns, unconsciousness or recurrent dizziness, vomiting of blood or vomiting that persists for more than 2 days—please see your doctor. Be sure to come back as I will discuss more on natural remedies for health, natural beauty, your home and your pets.